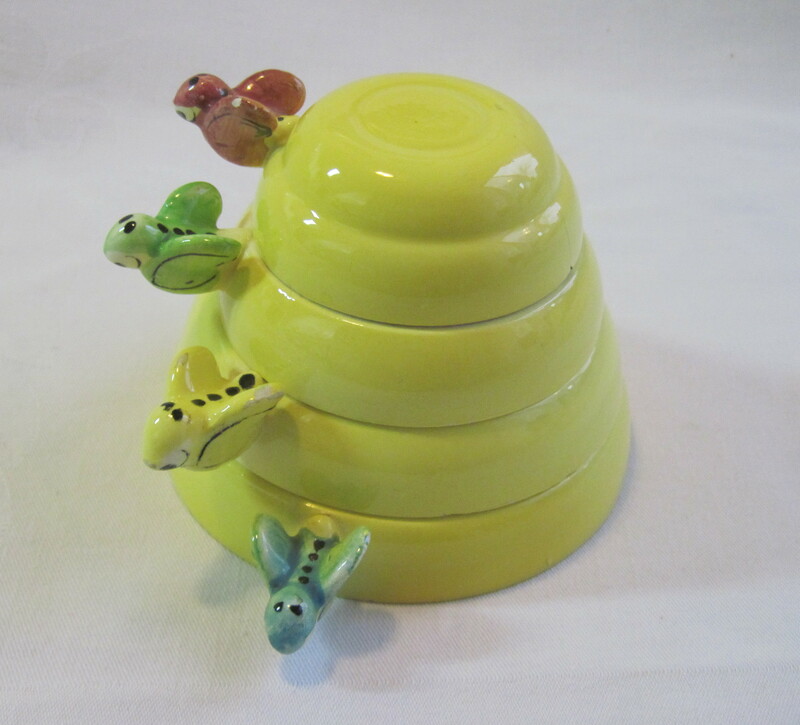 Whimsical stacking beehive measuring cups with the added touch of bees for handles. The photo shows them all stacked together. Made in Japan in the 50’s and imported for the Western Market by Menschik Goldman Co. They came in assorted colours.